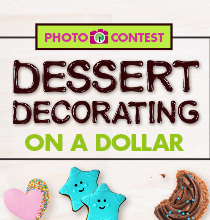 Home » Tips & Hacks » Put a Twist on Baking… Make Ice Cream Cone Cupcakes! 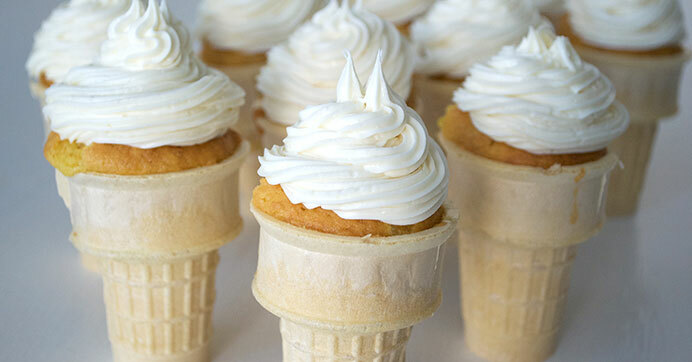 Put a Twist on Baking… Make Ice Cream Cone Cupcakes! Nothing screams summer like an ice cream cone topped with sprinkles! 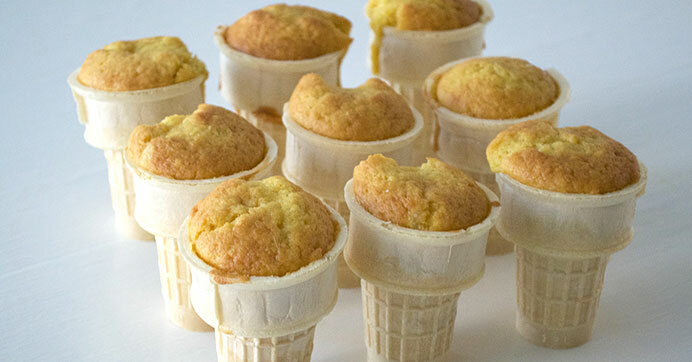 Put a twist on this hot-weather treat by making ice cream cone cupcakes for a less mess, melt-free dessert. 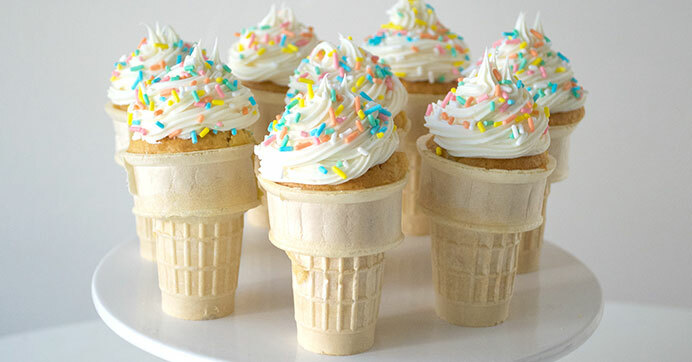 Perfect for your next summer party or barbecue, follow this simple recipe to bake cupcakes inside of ice cream cones. Top with a swirl of icing and colorful sprinkles to mimic the look of soft-serve ice cream (Kids will love helping with this part!). 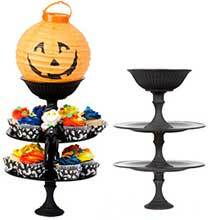 Then serve up this cool treat to your family and friends… we guarantee they’ll be impressed! Preheat your oven to the temperature shown on the back of your cake mix. Secure aluminum foil to the top of your baking pan, leaving space below the foil. 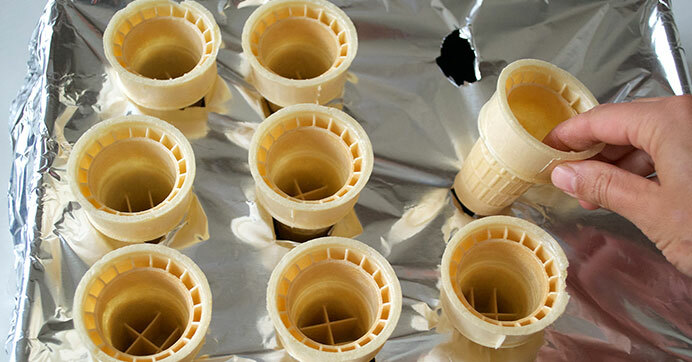 Use a sharp knife to poke 12 equally spaced holes in the foil, making one for each ice cream cone to sit in. Insert one cone into each foil hole. 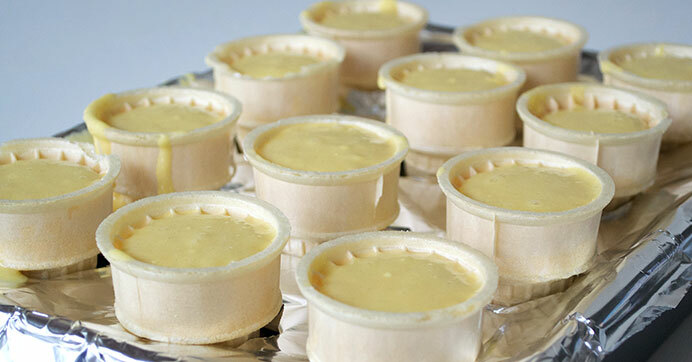 Mix and prepare cake batter as instructed on the package directions, then fill each cone about ¾ full of batter. Bake according to the cupcake instructions. Remove the cones from the foil immediately after baking, and allow them to cool completely on a cooling rack or cutting board. Fill a piping bag with icing and pipe the icing on top of each cupcake cone to look like a swirl of soft-serve ice cream. Top with sprinkles and enjoy your sweet and adorable treat! Want another summer dessert recipe? 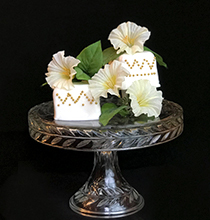 Check out our easy and delicious lemon bites recipe here.